Today, I’m not the only one tracking this concept. 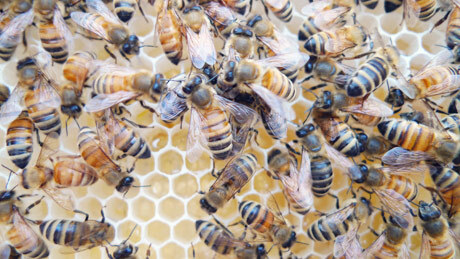 Believe it or not, business cares about bees, too. BSR’s newest report chronicles the exploration of ecosystem services within government, business, and financial services, and takes a closer look at how businesses are engaging with the topic. Rather than go into the details of the report, I thought it would be more interesting to look forward in time to think about what could happen if ecosystem services becomes ingrained into the way we think about the environment. The financial services community gets serious about ecosystem services. In the short term, investors and other financial services firms integrate a few select ecosystem services indicators into due diligence models. In the middle and long term, the systemic use of ecosystem services information becomes part of mainstream investment processes, as reliable data are more available through online sources and models. Ecosystem services parameters are built into ESG data requirements, and managing ecosystem services risk becomes part of an integrated portfolio construction and management process. Ecosystem goods and services “end states” go viral. Public agencies agree on the methodology for determining ideal ecosystem goods and services flows, and recast decision-making to optimize these flows for the benefit of the greater good. The U.S. Environmental Protection Agency’s Final Ecosystem Goods and Services defines the state to which lands have to be returned or maintained, which drives decisions on public lands. This research matures over time and forms the foundation for a robust analytical framework that is applied by global government agencies responsible for managing public lands. Occupy Wall Street meets Earth First! Grassroots organizations focused on economic inequality, climate change, and environmental destruction coordinate to aggressively “name and shame” the businesses responsible for unintended, systems-level impacts. Adopting a systems-thinking lens that is animated by ecosystem services parameters, civil society organizations galvanize crowds around business decisions that affect the quality of clean air, water, productive soils, and the generation of food and fiber, holding companies accountable for their actions with real data and convincing computer maps that show impacts in bright red. If any one of these scenarios plays out, the future looks fruitful for my bees.